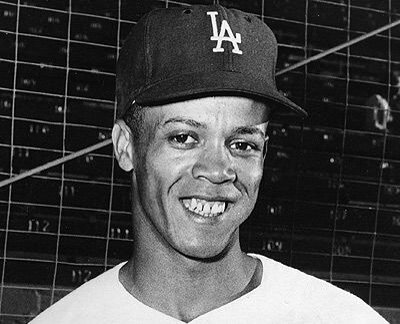 Sixty years after signing with the Dodgers, Maury Wills continues to bleed Dodger blue. Wills appeared in New York City at a pre-draft luncheon earlier this week as the official representative of the Los Angeles Dodgers at the 2011 Major League Baseball First Year Player Draft. “El Fantasma” (The Ghost) as he was nicknamed in Venezuela for his base-stealing ability, spent a few minutes discussing his 1951 entry into the famed then-Brooklyn organization. His courtship by the Dodgers differed greatly from the hopefuls that awaited Monday evening’s selections. Wills thought his signing was going to bring life changing riches. He quickly learned that wasn't the case for a young ballplayer at the lowest level of professional baseball. Despite the rough road he faced toiling the minor leagues for nine years, climbing the ladder all the way from Class-D Hornell to the majors, Wills would repeat his journey. It was that proverbial price Wills paid that allowed him to represent the Dodgers at the 2011 MLB Draft. Throughout all of his well chronicled battles with drug abuse, he acknowledged a divinely spirit guiding him along his continued path in baseball.